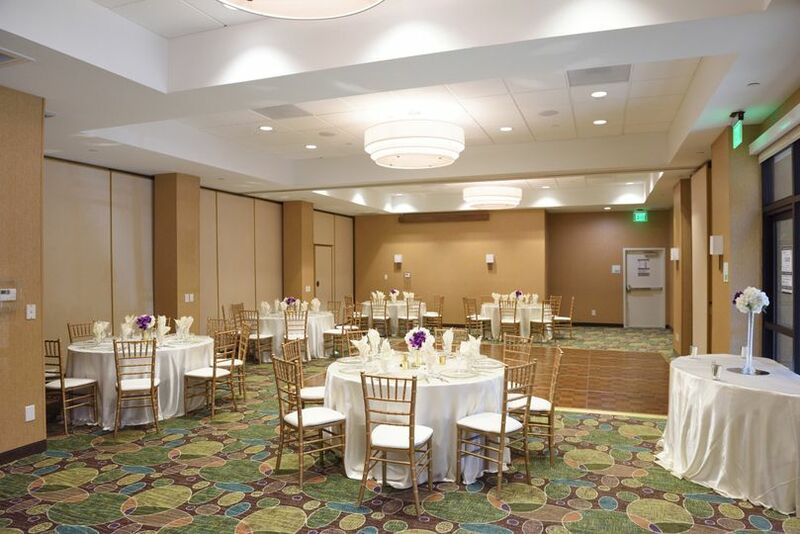 Holiday Inn Diamond Bar is a stylish hotel and wedding venue located near Anaheim in Diamond Bar, California. 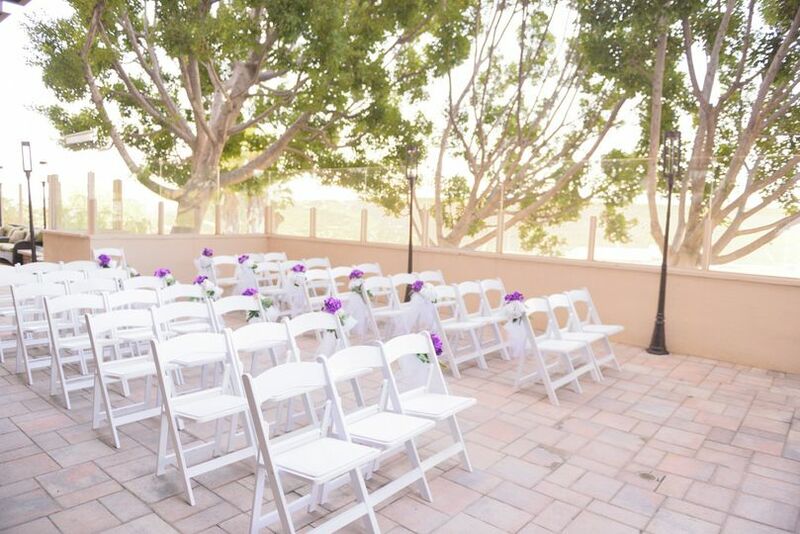 This sophisticated setting overlooks the San Gabriel Valley Mountains, offering you and your guests breathtaking views. They pride themselves on their contemporary accommodations, various amenities, and high-quality service. 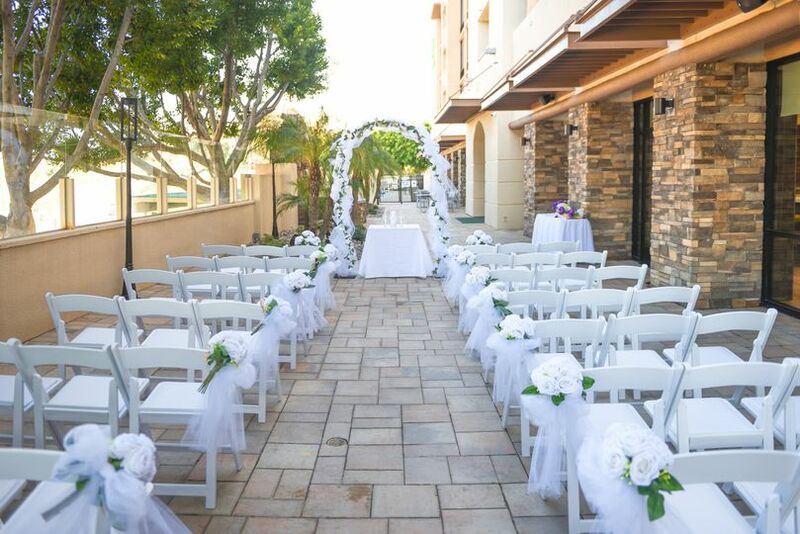 Holiday Inn Diamond Bar looks forward to making your special day unforgettable. 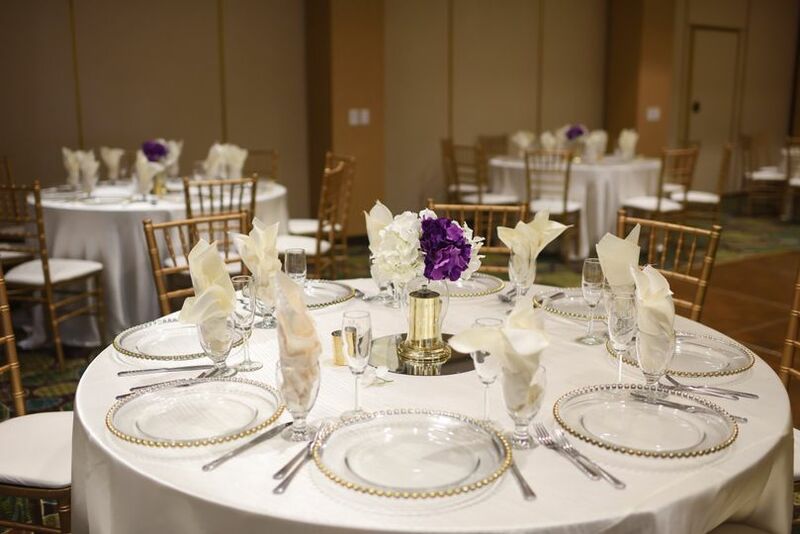 Couples can accommodate up to 160 guests for a sit-down affair, and up to 170 for a cocktail-style event at this elegant hotel. 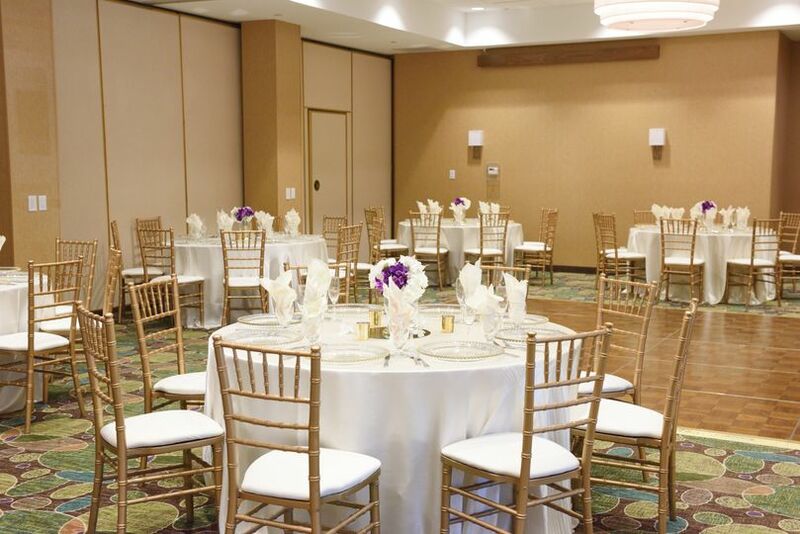 They boast over 3,000 square feet of meeting and event space that can easily be customized as you see fit. 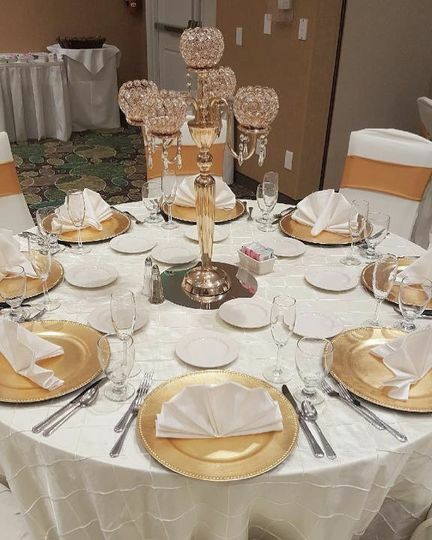 Their beautiful indoor ballroom features a neutral color palette, a flexible floor plan, and can accommodate a variety of themes and visions. 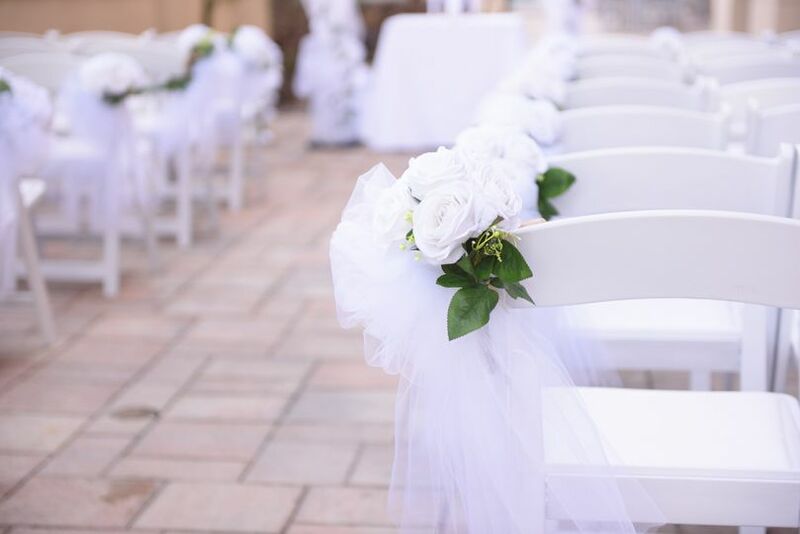 It can host your rehearsal dinner, ceremony, and reception. Couples and their guests may choose from 176 well-equipped guest rooms and suites, outfitted in vibrant and modern decor. These stylish rooms come with plush bedding, a refrigerator, a Keurig coffee maker, an LCD TV, and a workstation. You'll enjoy panoramic views of the valley and rolling hills from your window. You and your loved ones will also have access to their state-of-the-art fitness center, outdoor pool and jacuzzi, on-site restaurant and lounge. 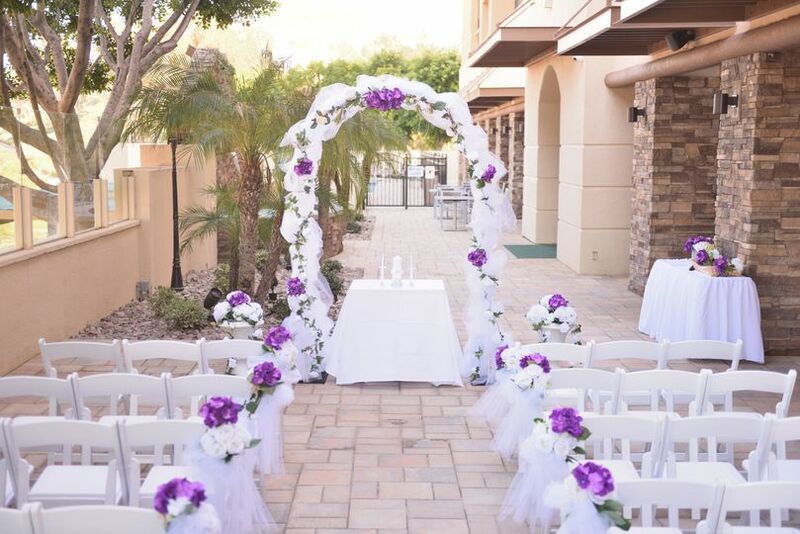 Holiday Inn Diamond Bar is situated 25 miles from Los Angeles, making them easily accessible for your out-of-town guests. Disneyland, Ontario Mills Mall, Big League Dreams, Los Angeles Fairgrounds, and more, are all nearby. If your friends and family love to golf, Royal Vista Golf Club and Diamond Bar Golf Course are both wonderful options in the area.